Survivor was the first hit reality show in the United States (if you don’t count MTV’s The Real World), and with it, came many implications for the way viewers consumed content. Outside of news and game shows, it was the first time a lot of consumers were actively watching “real” people – People they could connect with and relate to. It made for more engaging television. One could even say that the logical extension of this was the celebrity-obsessed culture in which we currently live. Millions hang onto every letter of Lady Gaga’s Tweets. The President of the United States was elected partially as a result of his campaign staff’s ability to reach young voters through new media. Television shows invite people to live Tweet to feel like they’re part of the show. But before Twitter was invented, and before Survivor aired on CBS in America, there was a different type of television entertainment that blurred the lines between reality and entertainment, where the viewers “knew” the people they saw on the screen. This medium was professional wrestling. In professional wrestling, there’s a script and there are actors (both in-ring wrestlers and outside talents, such as managers, interviewers, etc.). Wrestling differs from a lot of other types of performance art because the action doesn’t just take place on stage (i.e. the ring). Instead, viewers are privy to backstage segments, where they can learn how feuds start, see who books the matches, and even witness the preparation that wrestlers have to undergo before and after their matches. And all throughout, they are in character. Imagine if you watched a Shakespearean play on Broadway, and then were able to see the actors backstage preparing to enter the scene. Except they wouldn’t be actors playing the characters; they’d be the characters themselves. The term “kayfabe” was invented to describe the act of purporting all on-screen wrestling events as real life. This extended beyond the ring and beyond pro wrestling television programming. Hulk Hogan and Mr. T appeared on late night talk shows in character to promote the very first WrestleMania (Hogan also infamously choked out Richard Belzer and was successfully sued). It was a big deal when the public learned that Hacksaw Jim Duggan (a “babyface”, or good guy) and Iron Sheik (a career “heel”, or bad guy) were travel buddies and drove together to events (this was an example of “breaking” kayfabe). 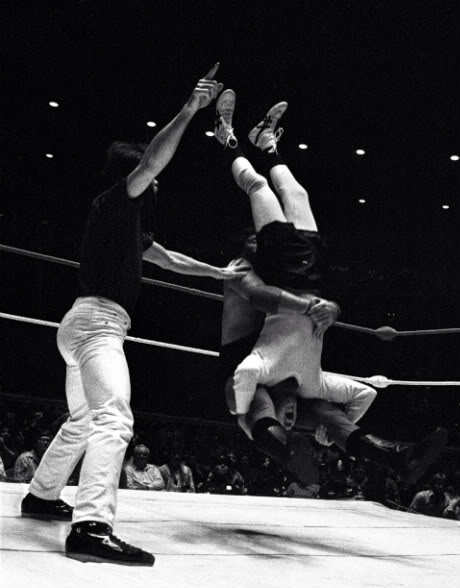 And in possibly the most famous example of kayfabe dedication, Jerry “The King” Lawler had a feud with Andy Kaufman, which saw them meeting in the ring across various territories, appearing together on late night talk shows (which resulted in fisticuffs), and Kaufman taking with him to the grave the degree to which all of it was scripted. It wasn’t until 11 years after Kaufman’s death that it was revealed with certainty that the feud was a “work”. So how does this relate to marketing? Let’s use Samsung as an example. As of late, they’ve been insistent on blurring the lines between reality and marketing. The Oscar selfie with Ellen DeGeneres was probably the most popular instance. The actual photo, along with many of her shout-outs to the brand during the Oscars, were just part of a well-coordinated promotion for the new Samsung Galaxy Note 3 phone. That selfie also broke all sorts of Twitter records. Even more recently, “Big Papi” David Ortiz signed a private deal with Samsung prior to the Boston Red Sox’s trip to the White House. When Ortiz met with President Obama, he asked for a selfie; this selfie was taken with his Samsung phone. The White House was not pleased after finding out that the POTUS would be used as part of a marketing campaign without his or their consent. In these two instances, Ellen and Big Papi took these selfies in kayfabe. We were led to believe that Ellen genuinely wanted to make social media history by taking a photo with other celebrities. We were made to believe that David Ortiz simply wanted to document meeting President Obama (Samsung denies asking Ortiz to take a photo with the POTUS). Both of these tactics worked, and got Samsung the type of buzz (and notoriety) they presumably wanted. But sometimes, when you break kayfabe, it has severe repercussions on your brand. 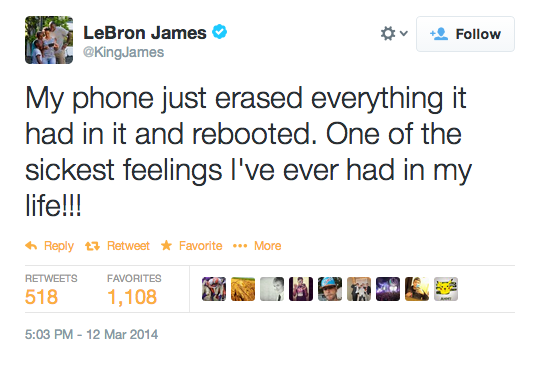 Another top Samsung spokesperson is NBA star LeBron James. He has starred in commercials for the Samsung Galaxy Note 3, which portray him using it in everyday situations. But the audience knows that the LeBron featured in those commercials is putting on a show because it’s clearly a product ad. So what happens when LeBron’s Samsung phone malfunctions in real life, deletes all of his data, and he Tweets about it to his 12 million followers? Well, for one, some quick social media backtracking. And then damage control by Samsung. In professional wrestling, there’s always an assumed suspension of disbelief on some level. Otherwise, how would it make sense that two guys who hate each other will wait every week and travel hundreds of miles to fight each other in a squared circle via non-lethal means in front of a referee? This new type of reality “viral” marketing is essentially real-life product placement. Maybe it’s time that all consumers start sharing the same level of skepticism.